Football Kenya Federation will head to the Court of Arbitration for Sports (CAS) in Switzerland to appeal the CAF appeal board’s decision to reinstate Equatorial Guinea in the 2018 African Women’s Cup of Nations on Wednesday night. The disciplinary board had earlier on eliminated the West Africans after FKF won an appeal that they had fielded an ineligible player. However, in a strange turnaround, CAF on Wednesday night sent in a decision from the board which reinstated Equatorial Guinea. “The player Annette Jacky Messomo is eligible to play for the National Team of Equatorial Guinea; The National Team of Equatorial Guinea is reintegrated in the Total African Women's Cup of Nations 2018,” the board said in its statement. However FKF in its own statement early Thursday said they would be headed to CAS to be reinstated or postpone the tournament till a decision is made. 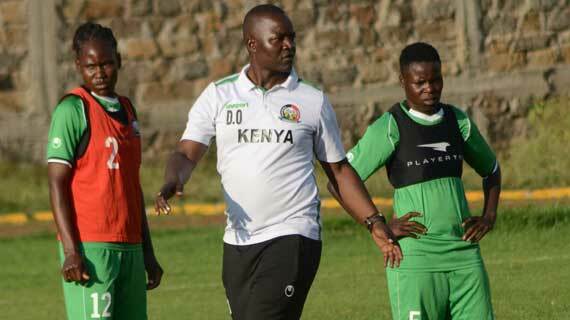 “As Football Kenya Federation, it is our position that the decision by the CAF Appeals Board is a great injustice not only to the Kenya national women football team Harambee Starlets but also to the millions of Kenyan fans spread across the world, the Kenyan government and the federation, which has since dedicated enormous resources in preparations for the 2018 AWCON,” FKF said in its statement. The team had already got into camp and on Wednesday evening played a friendly match against Ghana, drawing 1-1 at the Kasarani Stadium as part of their preparations.